We are no longer accepting entries for the 2017 Art Kudos competition. The deadline has passed. Art Kudos is an annual international juried competition that serves to recognize and honor excellence in the visual arts. 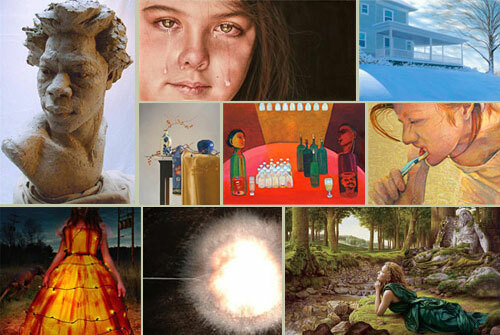 Artists who are selected as finalists benefit from world-wide exposure in a year-long online exhibition (www.artkudos.com) and have the opportunity to win cash awards for their exemplary work. A total of $4,500 will be awarded as follows: Best of Show - $1,200; Second Place - $1,000; Third Place - $750; Founder's Award of Distinction - $500; (3) Merit Awards - $250 each; (3) Honorable Mentions - $100 each. Each year a distinguished art professional is chosen to serve as the awards judge and ensure a diverse range of perspectives and expertise. We are very pleased to have Mike Calway-Fagen serving as the awards judge for the 2017 exhibition. He is an artist, writer, and curator based in Athens, GA where he is Assistant Professor of Sculpture at the University of Georgia.